Elon Musk is out of control! We need to take him away from Tesla! He needs to be reined in! Please, will someone think of the shareholders? 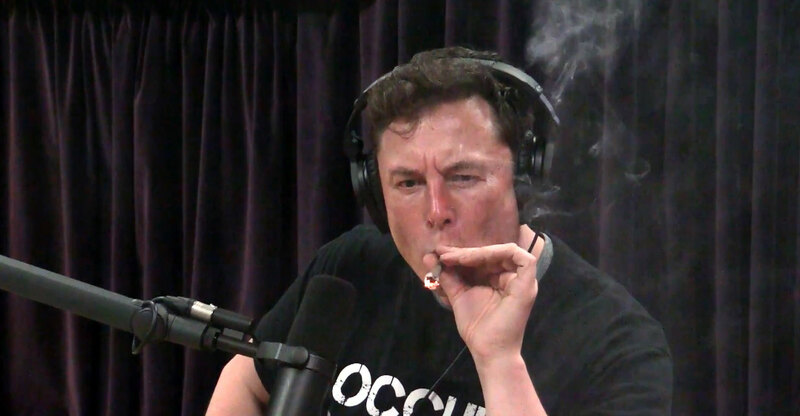 As the Musk saga keeps rolling, recently punctuated by a brief toke on a joint, I can’t help but think of Equality 7-2521, the hero in Ayn Rand’s novel, Anthem. He eventually becomes disgusted with the institutions around him and, upon escape, creates a libertarian utopia in the mountains. What destroyed that character’s faith in society was how quickly his detractors would change their context based not on an objective outcome, but for the sake of reinforcing their own dogmas. Ditto for Musk’s appearance on the Joe Rogan podcast. Despite more than two hours of very interesting conversation, everyone targeted the last few seconds. It’s not even as if Musk did anything wrong, not unless you decide to view him through a prism of what a CEO should or shouldn’t be — and that tends to be a dogmatic argument. If Amazon didn’t do as well, many would argue Jeff Bezos is an awful CEO for the infrequent dividend payments. But Amazon is profitable, so no one cares. In other words, a good CEO is whatever the subjective measure is for success, based on one’s point of reference. Don’t get me wrong. Musk is making mistakes. He should sleep more and tweet less, though I could argue that for just about every working professional today. But how quickly we forget that he helped usher in electric cars, something that had been attempted for a long time, like Ford’s Comuta car from the 1960s. He helped revolutionise space travel, cutting costs up to a tenth of what they were. And as everyone clamours for self-driving car dominance, he has helped make intelligent cars the norm. Now he’s digging tunnels when nobody else took the idea seriously. If I had money to waste, as many investors seem to, I’d give him cash just to see what else he comes up with. Is Musk doing too much? Probably. But what we tend to forget about Icarus is that he did indeed fly when no others could. Sometimes there is a price to be paid for that; sometimes there isn’t. Great things are not accomplished in careful steps, at least not until the benchmark has been shifted. The person who tamed fire was not an administrator. A great example is Google. I fully grasp the need for Eric Schmidt to have eventually become CEO in order for Google to grow. Google matured, so much so that it had to conjure Alphabet to keep the moonshots away from the revenue generators. But as it expanded, it also lost its spark. The famous 20% rule has disappeared and the inventive spirit that propelled Google forward is pretty much gone — or at the least in scarce supply. Google no longer invents; it services. Sure, it has giant balloons, but Google is a shadow of its innovative youth. I’m not convinced that Telsa is at that stage yet where it needs a “grown-up” behind the wheel. The iconoclastic impact it is rendering upon the transportation world continues, and that means Musk has more to do. But since we live in a world that loves to tear down its heroes as eagerly as it supports underdogs, we are only too happy to jump on every Musk misstep as vindication for our doubts. Yet Musk has accomplished more in just the past year than whole countries manage in a generation. And we were fine with that, until we weren’t. Now it’s a crime that he won’t march to the sound of our drums. If you aren’t a Tesla stockholder, none of this has anything to do with you anyway. And if you are, please take a moment. Tesla is a risky venture, plus you should be diversified. Let genius do what genius does. Stop whinging because of “optics”. The world has enough managers. What we need, more than ever, are mavericks. I agree Musk isn’t quite on the tracks. Comparisons between him and, for example, General Motors founder William C Durant, are apt. 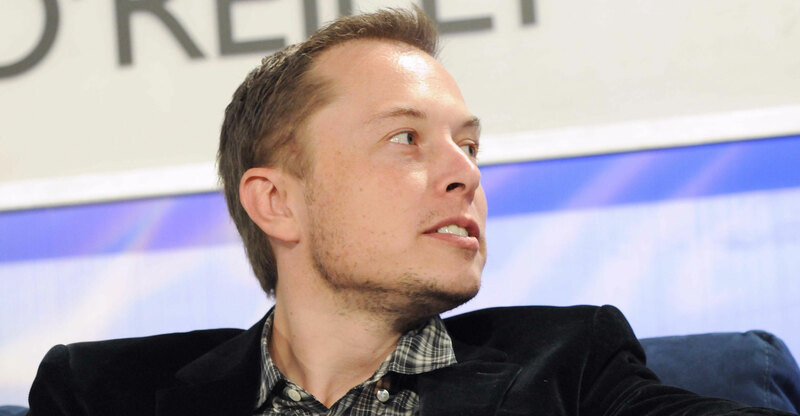 Like Kafka’s Poseidon, Musk should delegate more or risk never cruising the oceans he rules. But you know what? The man has been doing great things. I’d rather support him instead of trying to judge. In Greek mythology, hubris is to challenge the gods and thinking you can win. But if you win, it’s self-efficacy (to borrow from Prof Melissa Schilling). Who really cares if Tesla isn’t making a profit or is behind schedule? Google now sells ads. Microsoft sells cloud bytes. Amazon sells trinkets. Now it’s Tesla’s turn to change the world.